Nowadays, mobile phones play a vital role in everyone's personal and business life. To some, mobile phones are the best sources of entertainment because they are small enough to be carried anywhere. One of the worst nightmares turned into reality is losing data from your mobile phone. some people have made their mobile devices into a mini office and home entertainment. But what if suddenly, you damaged or broken your Samsung phone, you find yourself staring on a blank screen when you open your device? Or you cannot open your files anymore? Under normal conditions, damage due to operator's misuse including; water; infusion, physical damaging, when you encounter these issues unfortunately, it will lead to your phone failure or get a blank screen with no visual feedback. All files that you have stored cannot be opened anymore, it means that you can't access to your phone and cannot be used properly. Your data is almost certainly still on your memory somewhere; Modern Android operating systems provide protection against accidentally broken and deleting data, but only if the original data was not overwritten by new data, users are requested not to enter new contacts, new calendar data, and take several important photos, if you do it by accident, and that original data could be gone, it also makes it difficult to recover data from broken Samsung galaxy phone. But the thing isn't in such bad shape, as a matter of fact, because the file isn't really gone immediately, the lost data could be still recoverable once it can be detected and scanned by professional Samsung Data Recovery program. If you realize that your Samsung Galaxy phone was broken, you've got a decent chance of getting it back. 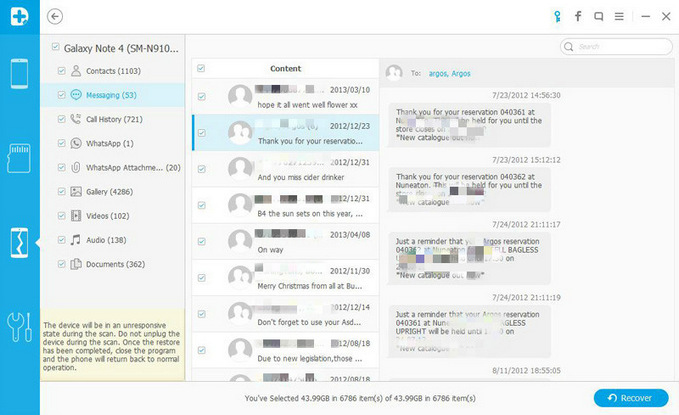 There aren't any really advanced features, but it is very easy to use, you can perform this recovery program without the need for a specialist firm, it can directly scan phone's intermal memory whether you accidentally deleted files or broken your phone. Now, Instead, take these easy steps on how to recover lost data from Samsung Galaxy S6/5 previous verison. Click "Recover" button on the left side and you will see the following window. Now, connect your Samsung Galaxy phone via USB cable. There are different data recovery modes within this program. 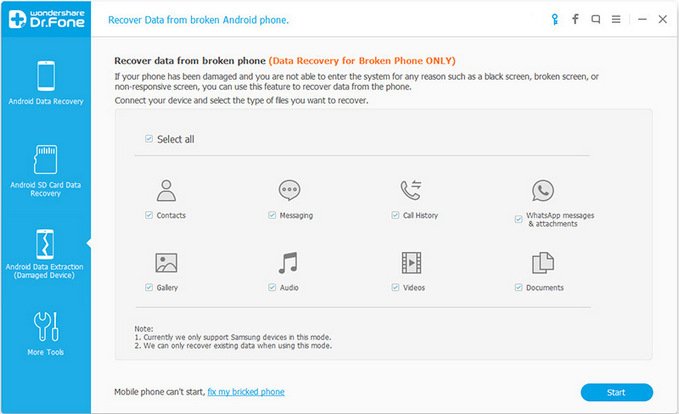 To recover data from a broken Samsung device, please choose "Android Broken Data Recovery" from the sidebar. And select the file type you wish to recover from the phone. 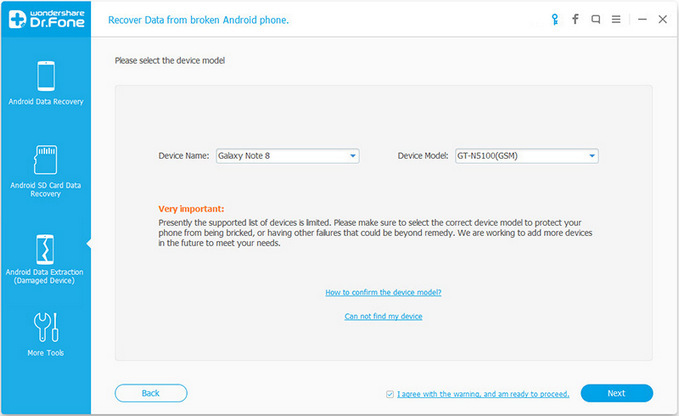 Next, select a state of your broken Samsung phone. It would be touch problems or a black/broken screen. Then select the device mode of your phone. And click "Next". 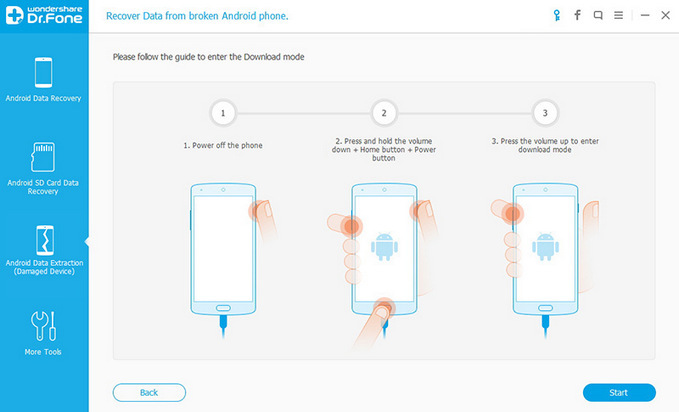 Please follow the on screen instructions to make the phone into download mode. After scanning, you're supposed to click the items in the left sidebar to show all data. 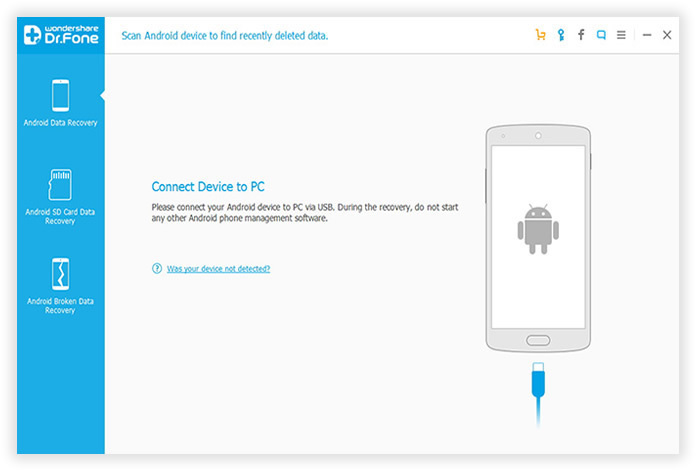 You're allowed to preview the lost data and decide to which one you want to recover. After you select the files you need, click "Recover" button and a pop-up window will prompt you to choose a path on your local derive to save the recovered data. The procedure is always hassle-free and risk free and data that you have retrieved always retain their original quality. The Android Data Recovery program is versatile since it can do other wonderful things aside retrieving lost data from broken Samsung Galaxy. If your operating system encounters a problem, the program will leave no stones unturned just to pinpoint what's wrong and fix it right away. If you want to create a back up for your phone's data, you can easily export all data to computer for backup, it can save text messages as a HTML or text file. Having another copy of all the files that you keep in your phone will be your guarantee against any event that can wipe out everything from your phone, this tutorial provides users with complete solution to backup contacts from Samsung to PC in order to avoid data loss again. Since it supports thousands of phones and networks, you can easily use the software with other kinds of androids. 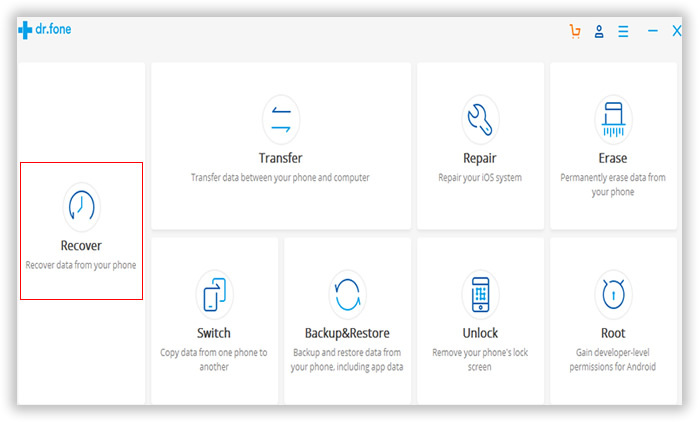 This offers convenient and cost-effective way of keeping everything you have in your phone easy to recover and reproduce, protect yourself from the disastrous outcome of data loss that include stress and worry on your part.